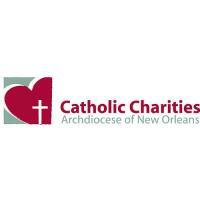 NEW ORLEANS – On Tuesday, Nov. 20, Catholic Charities Archdiocese of New Orleans announced it has been selected to receive a $5 million grant from the Day 1 Families Fund. This grant will be used to pursue solutions to end family homelessness in New Orleans with a strong focus on providing housing as well as social services, skills training, and job support to assist families in transitioning to and remaining in permanent housing. With this funding, Catholic Charities will be able to provide families fighting homelessness with financial assistance and long-term wraparound services, including immediate case management, emergency housing, rapid re-housing, supportive services, and long-term case management. Catholic Charities Archdiocese of New Orleans is one of 24 nonprofits to receive the first Day 1 Families Fund grants, totaling $97.5 million. Recipients from around the country include: Abode Services, Catholic Charities Archdiocese of New Orleans, Catholic Charities of the Archdiocese of Miami, Catholic Community Services of Western Washington, Community of Hope, Community Rebuilders, Crossroads Rhode Island, District Alliance for Safe Housing (DASH), Emerald Development & Economic Network (EDEN) Inc., FrontLine Service, Hamilton Families, Heartland Family Service, Housing Families First, JOIN, LA Family Housing (LAFH), Northern Virginia Family Service (NVFS), Primo Center for Women and Children, Refugee Women’s Alliance (ReWA), SEARCH Homeless Services, Simpson Housing Services, The Salvation Army of Greater Charlotte, The Salvation Army of Greater Houston, UMOM New Day Centers and Urban Resource Institute (URI). Founded by Jeff and MacKenzie Bezos, the Bezos Day One Fund consists of two programs: the Day 1 Families Fund that provides grants to nonprofit organizations fighting homelessness, and the Day 1 Academies Fund that will fund and build a network of pre-schools in low-income communities across the country. The Day 1 Families Fund’s vision comes from the inspiring Mary’s Place in Seattle: no child should sleep outside. A small group of expert advisors provided input to the Bezos Day One Fund team to select these organizations. The Day 1 Families Fund will be awarding grants annually.